Key West is the southernmost point in the continental United States. It's about 4 miles long and 2 miles wide and is 120 miles southwest of the mainland. The Key West real estate market includes Key West, neighboring Stock Island, Key Haven, Boca Chica Key, East Rockland Key, Big Coppitt Key, Geiger Key, Shark Key, and the Saddlebunch Keys including Blue Water and Bay Point, ending at MM 14. The average year-round temperature is 83 degrees ranging from 75 degrees in January to 89 in August. That being said, the last time the temperature reached as much as 100 was in 1880. As of 2016, Key West's population is 26,990 people. Key West was incorporated in 1828 and has an elected City Commission form of government. Old Town is the name given to the historic district of the island. It is basically the western half of the island, with the exception of the Historic Seaport district. It is also where the central business district and the majority of tourist attractions are located. Old town offers shops and art galleries from one end of the spectrum to the other. The exceptional diversity in restaurants reflect the numerous countries of origins of the residents as well as contemporary trends in cuisine. Bars and nightclubs serve up a variety of entertainment from the Hog's Breath Saloon, Sloppy Joe's and Irish Kevin's to Aqua and La Te Da. Old Town also has two excellent theater companies with the Waterfront Playhouse and Red Barn Theatre. New Town is located on the eastern side of the island, and roughly defined as the part of the island that is east of 1st Street and north of Flagler Avenue. It's estimated that just under 9,000 people reside in New Town. Midtown is located in the geographical center of the island, and is roughly bounded by North Roosevelt Boulevard (U.S. Route 1), Leon Street, Atlantic Avenue and 1st Street. Casa Marina is a beautiful neighborhood bounded by United, Vernon and White Streets, Atlantic Boulevard and Steven Avenue. It is named for Henry Flagler's hotel of the same name in the area. "Cayo Hueso" is the original Spanish name for the island of Key West. It literally means "bone key." It is said that the island was littered with the remains (bones) from a Native American battlefield or burial ground. The most widely accepted theory of how the name changed to Key West is that it is a false-friend anglicization of the word, on the ground that the word hueso sounds like "west" in English. Key West is a unique place to live, and there are a number of considerations to buying real estate there that you won’t likely encounter in most markets, but our Key West real estate agents can provide the guidance you’ll need. As is the case in the rest of The Keys, all manner of water-based activities are pursued in Key West – sailing, fishing, diving, kayaking, power boating, swimming and more – but If history, theater, music, museums, art andarchitecture are your choice, Key West is the unquestioned cultural center of The Keys. It's filled with rich history, beautiful old buildings and historic homes such as those of Ernest Hemingway and John J. Audubon, Harry S. Truman's Little White House and the Curry Mansion built in 1905. 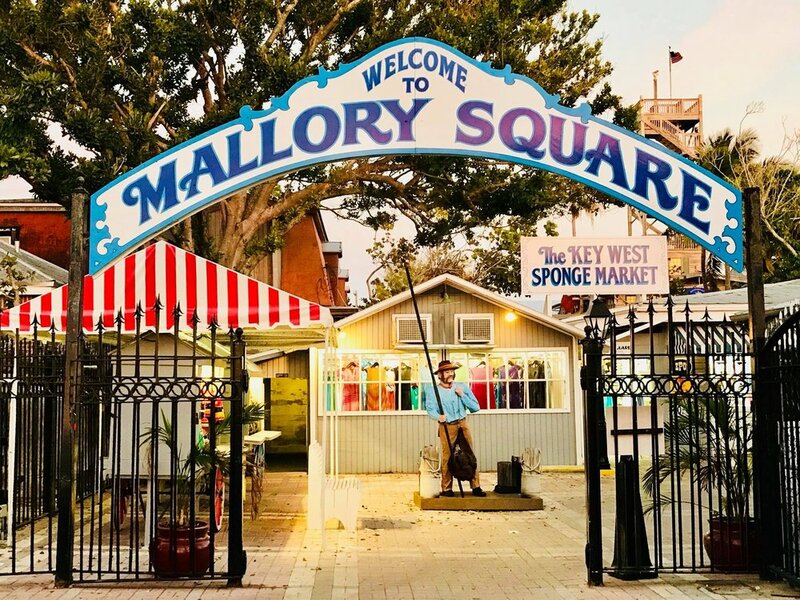 A Yankee-held outpost during the Civil War, Key West has been host to the military since the Spanish American War and the Navy maintains an active presence in Key West and on Boca Chica Key. The Keys are a major military training hub as the climate permits training to continue year-round. Fort Jefferson at Fort Jefferson National Park in the Dry Tortugas, about 70 miles west of Key West, was an important Naval outpost in the 19th Century until advances in weaponry rendered it obsolete. Today, it's a museum and also offers some of the best snorkeling in the area.